The Vagrant by Peter Newman is a dystopian novel with sci fi and fantasy elements. It follows the story of a mute protagonist as he journeys across the wastelands with a goat and a baby (at least for the duration of my read). The bad stuff: I really didn’t like the author’s style of writing. There were lots of short sentences, to the point where the story was confusing or didn’t make sense to me in places. I didn’t manage to finish this book, I loaned it from my local library, struggled through to page 169 and when the 3rd renewal came up, figured if I haven’t gotten into the book by now, it was not worth the trouble renewing again. The Good Stuff: The story was interesting, I would like to know how it unfolds – just not enough to push me through author’s prose. I liked the wasteland, the author has built a believable world, ravished by ‘demons’, where life fights to survive among the new hosts. The protagonist, while he did not talk up to the point where I stopped reading, is interesting. I find I want to know more of his story, where he came from and why he is there. I have some ideas based on the story so far, but nothing was given away by the author to the point I read up to, merely hinted at. I think that if you are okay with the author’s writing style, you will enjoy this book. The story is interesting, the world is believable and there is variety in the characters. Personally, I couldn’t get past the author’s style. I don’t think this was a bad book, just not a book for me. I’m only giving it 2 out of 5 golden bookmarks. Book review: Last Argument of Kings by Joe Abercrombie. The Last Argument of Kings is the third book in the First Law Trilogy and continues the story of some familiar characters, while introducing some new ones too. The Bad Stuff: Come on, it’s Joe! Okay, if I have to say something it is that the ending does not bring the story to an close. It leaves it open and keeps you yearning for more. Damn it. The Good Stuff: In true Abercrombie style, the tale is tough and gritty. It gives glimpses into the true nature of human beings through a variety of interesting characters. In this book we get to see a lot more of Logen Ninefingers and his darker side – ‘The Bloody Nine’. I loved every minute of this book. Once again Abercrombie has come to the party. No, actually he has brought the party to your house, along with an entourage of characters that are beautiful and yet so individually ugly, you’ll love and hate them all at the same time. And they’re going to turn your place upside down before they leave. If you haven’t read any of Joe Abercrombie’s work yet, I have one question for you – what are you waiting for? This one is definitely worth 5 out of 5 golden bookmarks. 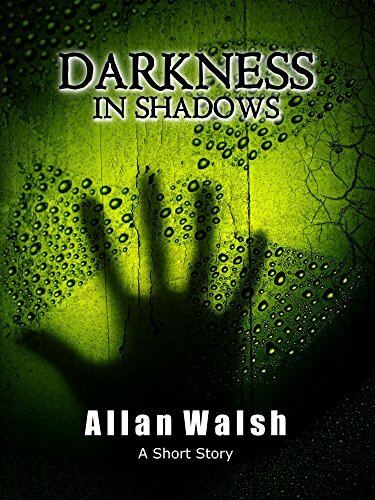 For those of you that are interested, I’ve just released another short story called “Darkness In Shadows.” At approx. 28 pages, it’s a quick read, ideal for the daily commute. The e-book is available here, but for those that prefer to hold an actual book in your hands, the print version will follow shortly. If you do happen to purchase my book, it would be great if you could leave a review. Enjoy. 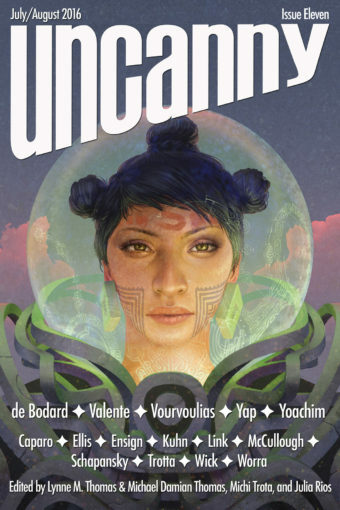 Uncanny Magazine is currently OPEN to short story submissions. For the writers that follow my blog and are looking at traditional publishing of a hybrid model, you may find this interesting.